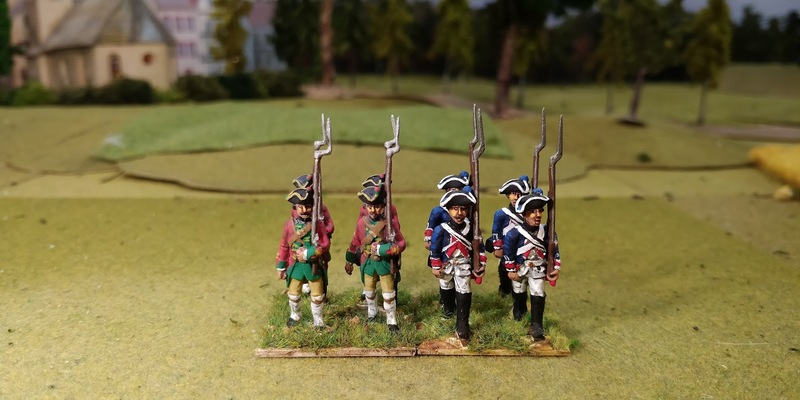 These lovely figures are from Siege Work Studios in Australia and very nice they are too. 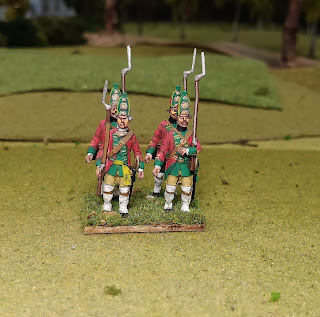 The range is a specifically SYW Hanoverian range and it has been around for a while but this is the first time I have painted them. They are quite 'petite' figures and would probably work best not mixed with other ranges within the same battalion. 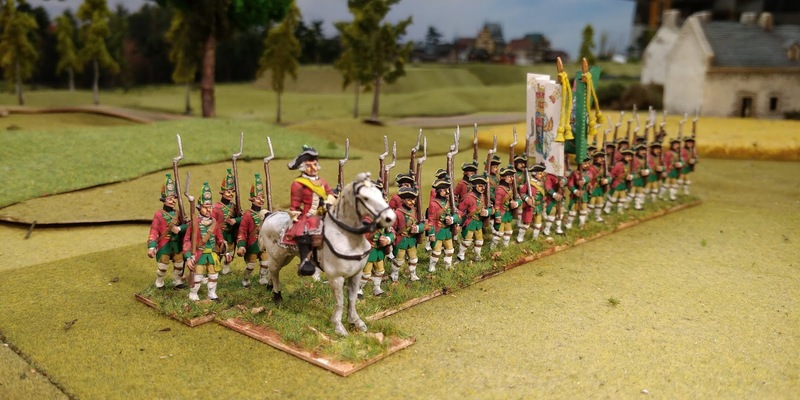 There is a picture of them below next to a base of Black Hussar Hessians and they are smaller but not so it makes a huge difference but they will definitely not work with chunkier figures like those from Front rank. 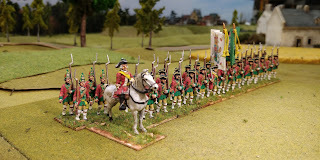 The mounted officer is well sculpted and I have painted him as Major General Scheele. The range is complete for the infantry and artillery but they do not appear to have done any cavalry, which is a shame. 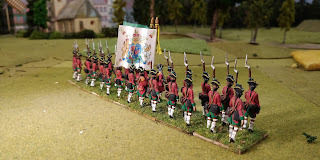 Maybe they can be encouraged to! 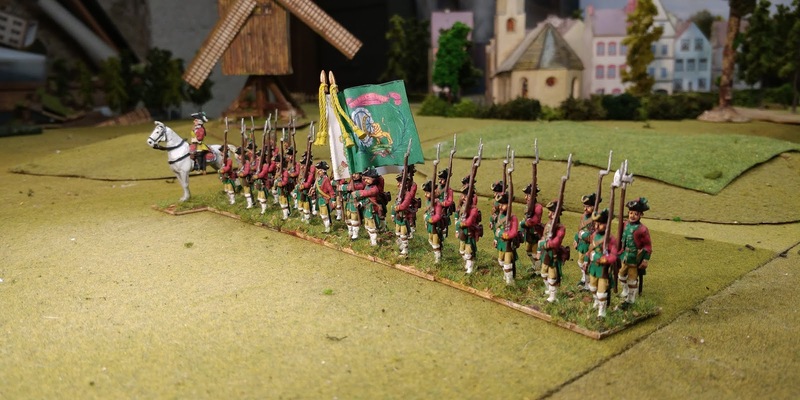 My Hessian battalions have 5 bases (20 figures) representing about 500 men. 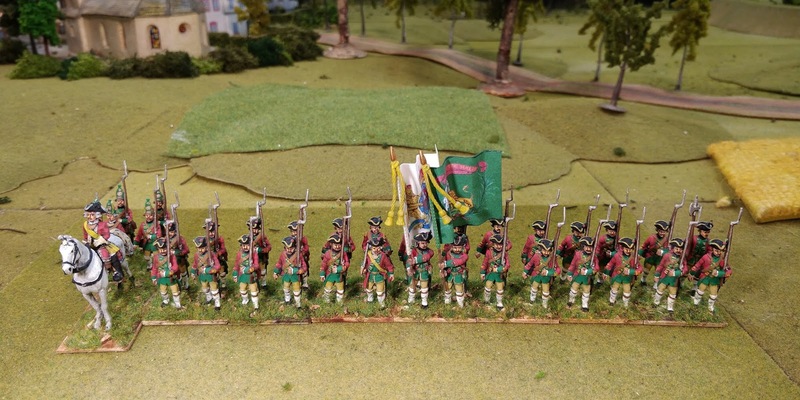 These stronger Hanoverian battalions are seven bases so about 700 men. 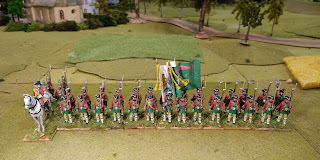 I have also painted the grenadier company at the same time although it will be converged, in due course, with others. 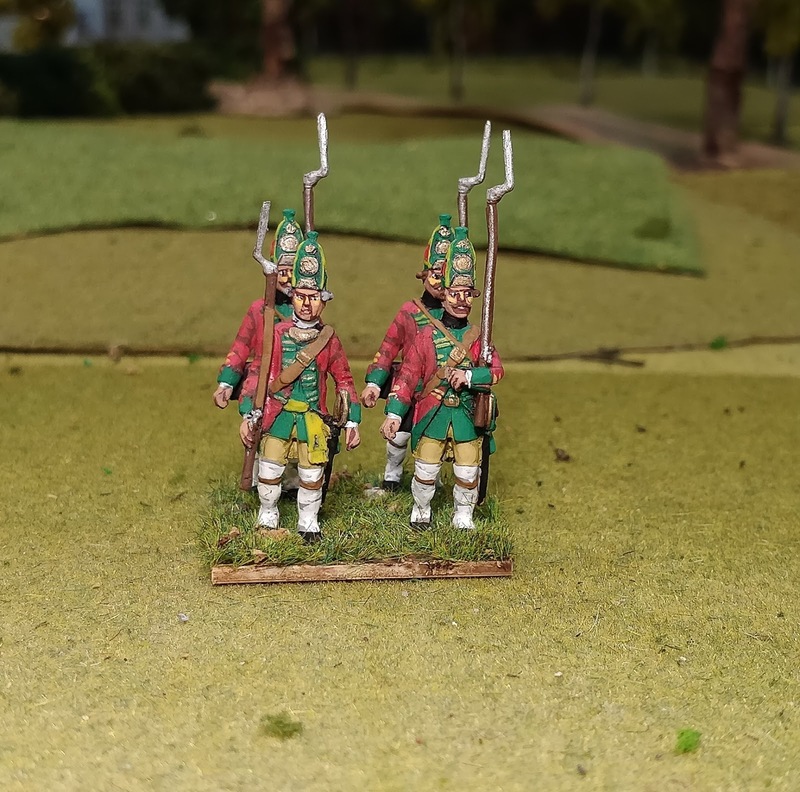 It makes sense to paint the grenadiers at the same time as their parent battalion so that I can match up the facing colour exactly. I used not to do this and had the devil of a job remembering which shade I had used. Finally, do contact Drew at Siege Works Studios and get some samples if you ask nicely!These Hanoverians get an A from me and with some cavalry they would probably get an A+. They have a particularly good selection of unusual musicians.